Anne and Solenn take the Bullied Husbands Club to California! 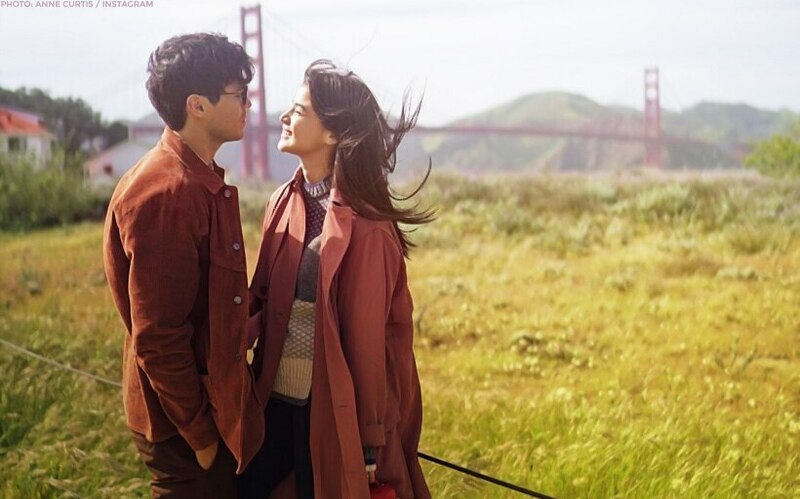 Anne Curtis has escaped the terrible Philippine summer with a trip to windy San Francisco! The "It's Showtime" mainstay came fully prepared to enjoy this mini vacation: she had her husband Erwan Heussaff with her, her sister-in-law Solenn Heussaff and of course, the illustrious Nico Bolzico. Today marks their first day in California and the foursome squeezed in a workout (of course) and took to visiting the Golden Gate Bridge. Never a serious moment with this one. As always, we could trust Nico to give us the real tea about all things Bullied Husbands Club-related and this vacation is no different. He wrote in an Instagram post today, April 15, "The roles are very clear when we travel together. Erwan organizes everything, he loves using old school paper maps, he forces us to call him Captain and he gets very intense if people are late." "Anne and #Wifezilla (Solenn) make sure that the selfies are properly taken when the light is good. They have a magnet for clothes stores when we walk, they enter in 76% of the stores we walk in front of." 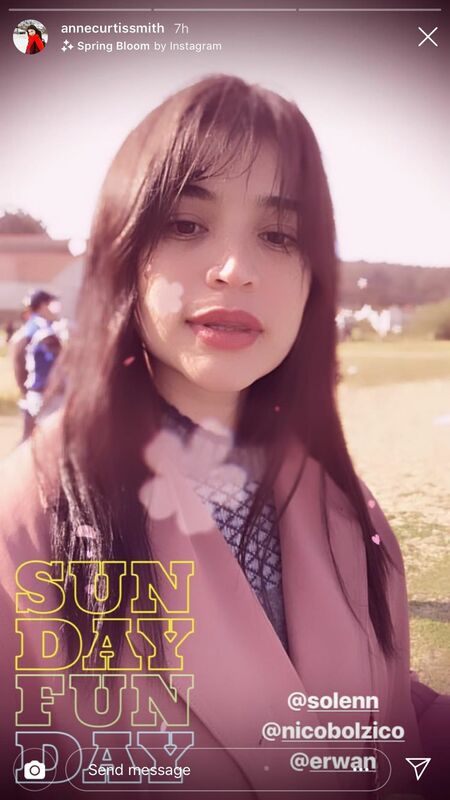 He continued, "I try to be useful and that means not bothering Erwan when he is actually doing something for us to be able to go places, he forces me to look away. He speaks a lot and always pisses off #Wifezilla coz speaking too much. Day one can be summarized like 43% eating, 40% shopping and 17% doing groceries (yes, we do groceries when we are on vacations!)." To be honest, this sounds like a whole lot of fun. We can't wait for more photos! Chienna Filomeno, nakaalitan si Dawn Chang? Vice Ganda, pinagsama-sama sina Regine, Pops, Zsa Zsa, Sarah, James + more! 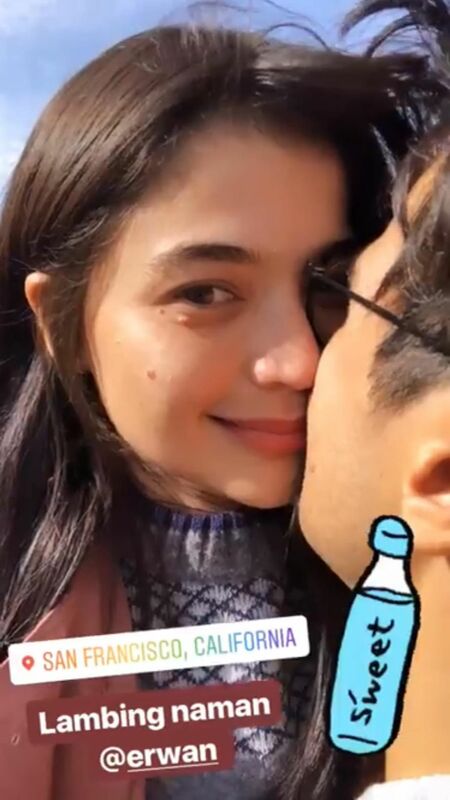 Anne at Erwan, 23 days hindi nagkita?